For many, choosing a credit card is a reflection of identity. It can help you pay for the things you need, enhance the things you love like traveling, and with time, it can improve your credit score. So, which credit card is right for you? Choosing a new card depends on a few factors. Take these steps before you apply. The first step is to learn which credit cards you qualify for. “You might want to check your credit score before searching for credit cards, as some are only available to those with good credit,” David Bakke of Money Crashers said. You can view your TransUnion and Equifax credit scores for free on our website here. It’s also wise to check your credit reports to ensure that your accounts are reported accurately and there are no errors that could impact your scores. You can also access your free reports once a year through Annual Credit Report. Credit Score Improvement: If you’ve struggled with credit damage in the past, it’s a good idea to choose a card that can help you get back on track. Secured credit cards allow you to pre-load cash like a debit card to use for purchases. That said, your account activity is reported to the credit bureaus like a credit card with the same benefits of positive use. A successful trial period may also qualify you to convert your account to standard revolving credit. Rewards for Everyday Purchases: Some cards offer rewards and cash back on necessity purchases like groceries and gasoline. Review your budget to highlight the big-ticket items; you may find a card that can help you save. Investments: Some investment firms offer credit cards that allow you to funnel rewards into a retirement account or a college savings plan. This strategy frees up money in your budget while also helping you to focus on the future. It’s tempting to open a credit card that offers short-term rewards or discounts, but it’s better to choose something that offers long-term benefits. The reason? Closing an account down the road could hurt your score and undo your efforts to improve. A lower credit score could impact your ability to secure a low-interest loan, finance a home or car and even open new credit cards. 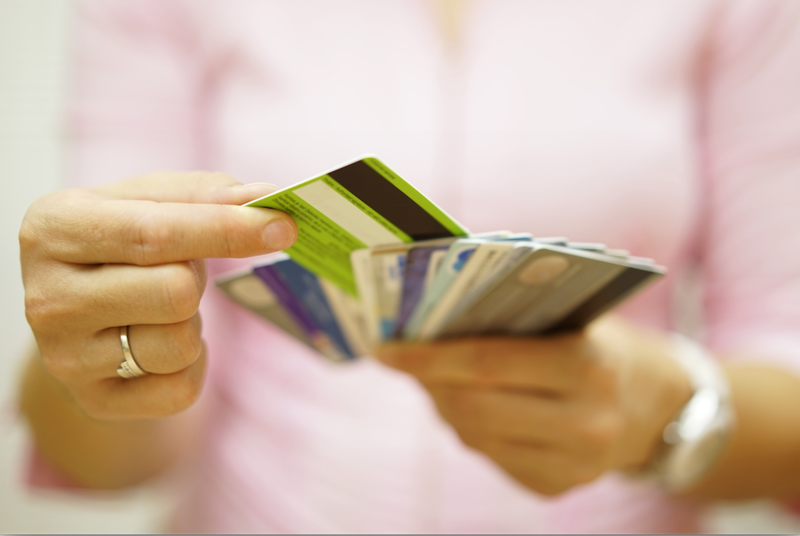 The benefits of a credit card can amount to nothing if they are overshadowed by annual fees. Financial planner Jay Schurman of the Lincoln Financial Group advises clients to weigh their options carefully. “Do you really need a credit card that has a yearly fee?” he said. “They have to give you something of greater value than the fee or this is a bad deal.” Do the math before allowing upscale perks to persuade you. This entry was posted in Credit Cards and tagged APR, credit card, Credit Score. Bookmark the permalink.